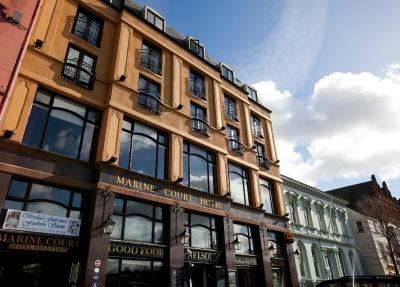 Lock in a great price for Marine Court Hotel - rated 8.3 by recent guests. Free car park. Centrally located. Quality breakfast. Breakfast was nice. Bed was comfy. Parking was free. Great breakfast. Close to all amenities. Had meal at a function on the Saturday night and it was very good. Well laid out family room in a central location. Use of the pool is the icing on the cake. We went for a break with the grandchildren. We had Sunday lunch with other family members and kids ate free. They loved the pool. The staff were great with the kids. They said there was too much choice at breakfast!! Location excellent, safe and free parking. Room was great, large and roomy so the kids had space to colour in at the table etc. all in all we all had a great time, we will be back. I was there for two nights with my husband, visiting my brother & family (in Bangor) the hotel was very comfortable and an enjoyable experience, with a lot of useful amenities in the hotel. I would definitely return to this hotel upon a return visit to Ireland. 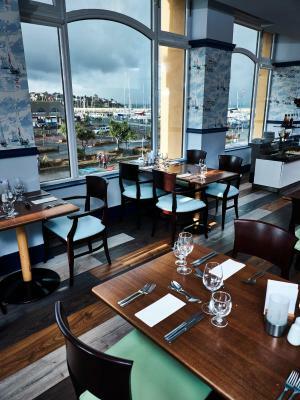 The beautiful scenery (overlooking the harbor, such a peaceful and scenic view) whilst enjoying a Nelson’s full Irish breakfast in the dinning room was a bonus. I stayed with my daughter for a couple of nights to de stress before exams. We were upgraded on arrival to room with a view over the marina. Pool and stream room were very relaxing. Breakfast was plentiful and good choice. We had a bad experience at an outside restaurant and came back to the hotel and was helped out by a member of staff and made to feel very welcome. 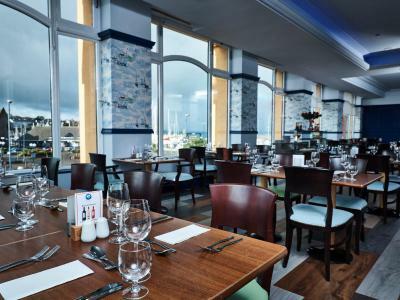 Situated on the seafront at Bangor, Marine Court Hotel boasts an on-site restaurant and a bar, a fitness centre and wellness facilities including an indoor swimming pool, a hot tub and a solarium. 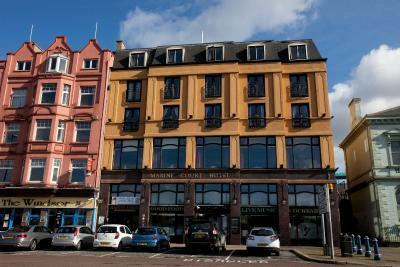 It offers on-site private parking free of charge and views over Belfast Lough, with Bangor Marina in the foreground. Rooms at Marine Court Hotel feature stylish traditional décor and furniture, and are equipped with a TV and tea and coffee making facilities. They all include a private bathroom with a shower over the bathtub and a hairdryer. Ironing facilities are also provided. Guests can enjoy fine cuisine on the hotel's restaurant for lunch and dinner, and get spirits and refreshments in the bar throughout the day. 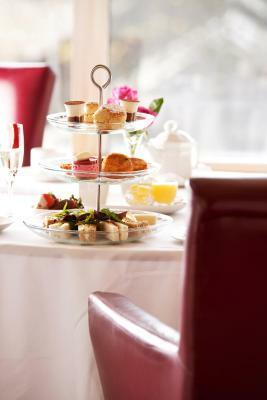 Afternoon tea is served daily and a wholesome breakfast is available every morning in the common dining room or in the guest rooms upon request. As a guest at Marine Court Hotel you can enjoy the property's wellness and fitness centre Oceanis. You can plunge into the swimming pool, relax in the steam room, unwind in the therapeutic hot tub or have a workout in the fully carpeted and mirrored gym. Marine Court Hotel is located 15 minutes' drive from Belfast City Airport and directly linked by train to both Londonderry and Dublin. The hotel is also well situated at the gateway to the Coast of Down, with its many golf courses, country houses and Irish pubs. 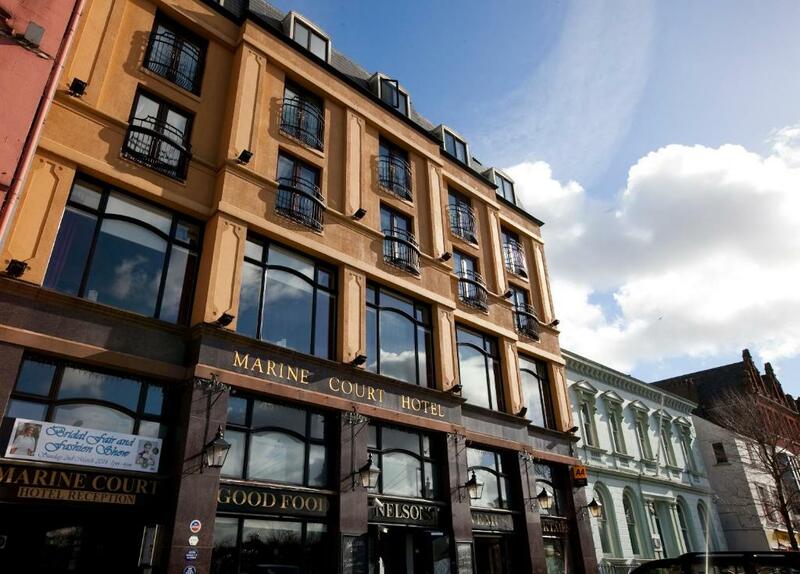 Marine Court Hotel has been welcoming Booking.com guests since 3 Aug 2005. 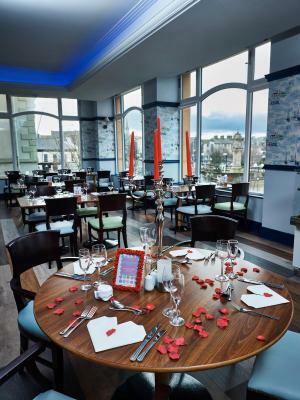 When would you like to stay at Marine Court Hotel? These rooms have private bathrooms with a shower over the bath, a TV, tea/coffee-making facilities, an iron and ironing board, a direct dial telephone and a hairdryer. These rooms have an en suite bathrooms, a TV, tea/coffee-making facilities, an iron and ironing board, a direct dial telephone and a hairdryer. En suite facilities, a satellite TV and tea/coffee making facilities are featured in this room. This room features a super king-size double bed and 2 single beds. It also includes a TV with satellite channels, an en suite bathroom and free complimentary toiletries. This room includes a super king-size bed, a 42-inch plasma TV, a spa bath and walk-in shower with body jets. A spacious suite featuring a semi four poster bed, an en suite bathroom, a TV with satellite channels and 24-hour room service. 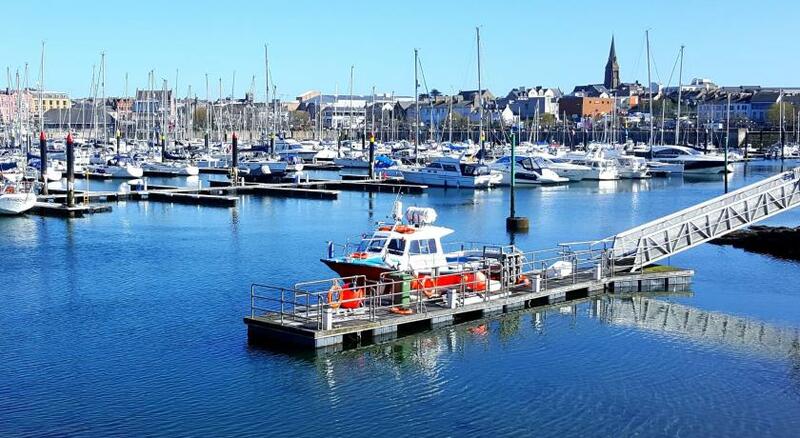 The Marine Court Hotel is located in the heart of the town center with stunning view over Bangor Marina and Belfast Lough. 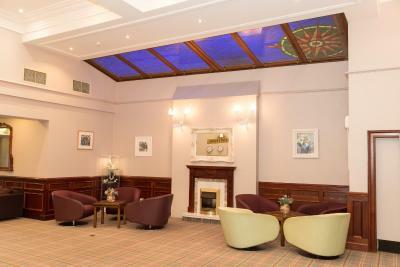 We are the only hotel in Bangor with a swimming pool, whirlpool, steam room and gym. 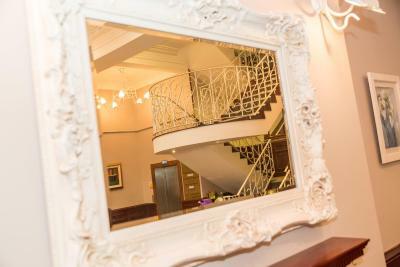 House rules Marine Court Hotel takes special requests - add in the next step! Marine Court Hotel accepts these cards and reserves the right to temporarily hold an amount prior to arrival. 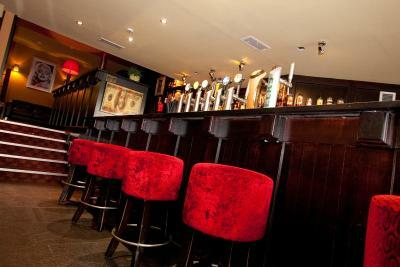 The property hosts music / entertainment at the weekend and music can be heard throughout the hotel until 01:00. Big cracks in wall at windowlet in cold air. View from the room was awful. Could do with a total refurbishment. 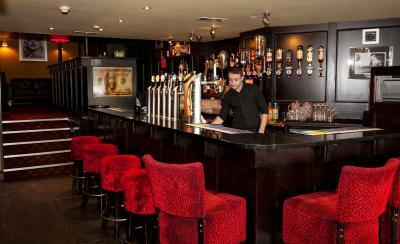 Bar area could do with a rethink. Our room was facing the rear of the property which overlooked the bins. I don’t think there was anything I didn’t like. Staff and food was excellent! !